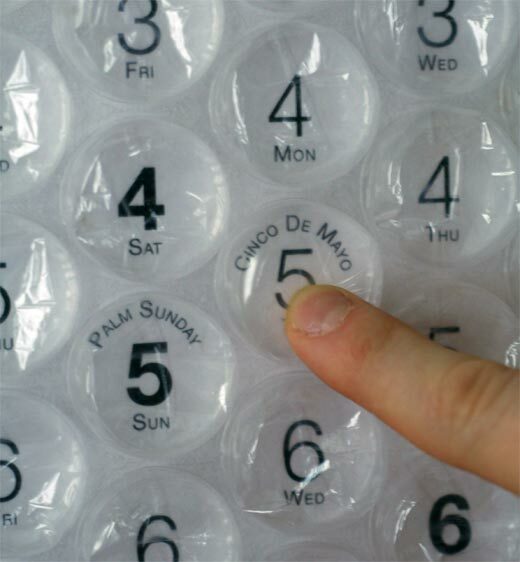 There’s something just so satisfying about the tactile sensation of popping bubble wrap. 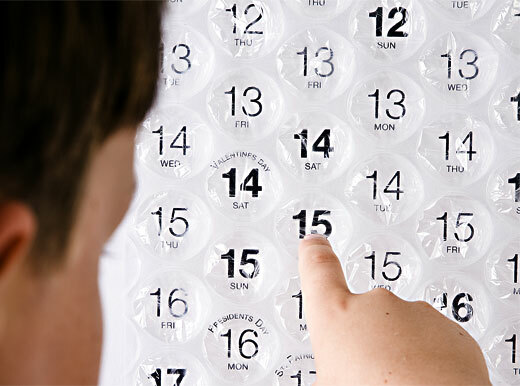 Now you can have a legitimate reason to pop bubbles every day, thanks to this fun bubble wrap calendar. Each day of the year lives beneath a burstable bubble layer. As the days go by, just pop the corresponding bubble. If you happen to be away for a few days, you get the extra bonus of being able to pop a whole bunch at once. Handmade in Brooklyn, NY, the oversize calendars come in either horizontal or vertical orientations, and measure in at substantial 48″ x 18″. The 2009 edition of the calendar is now available, in either a paper-backed version ($29.95) or a sturdy acetate-backed version ($49.95). 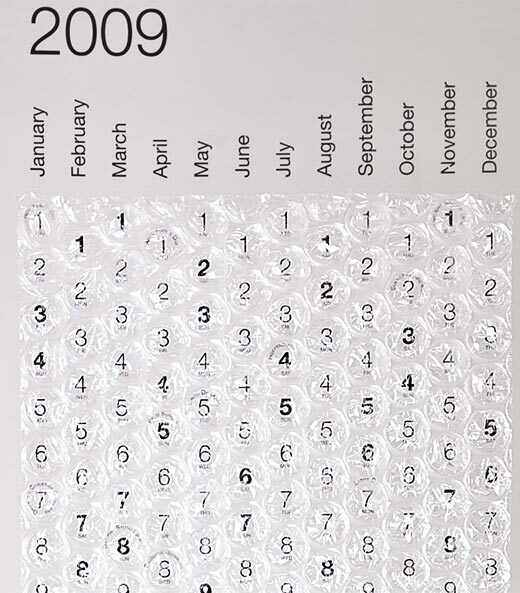 So get popping and head on over to the Bubble Calendar website to get yours.